As IP surveillance technology becomes more affordable, it’s also becoming a more attractive solution for smaller installations – installations that used to be the sole domain of analog product. But how do you convince your customers to upgrade their analog to IP, preferably before an incident forces their hand? There are three primary selling points for an IP system of an Analog system – higher resolution, more in-depth analytics, and the ease of new network configuration. Modern IP cameras generally offer a higher level of resolution than analog cameras. Almost all analog cameras will be limited to the equivalence of a 4CIF or D1 resolution (that is, 704 x 480 or 720 x 480). Many IP cameras boast 5MP resolutions or higher – that’s 15.5 times more pixels than a standard analog camera! And a higher pixel count means more usable surveillance information. This is especially important when it comes to identifying intruders. For positive identification, a general guideline is to have at least 12.7 pixels per inch across the face of a suspect. It’s much better to have that resolution in place during an incident, rather than upgrading to that resolution because the suspect could not be identified with footage from the existing system. For positive identification, a general guideline is to have at least 12.7 pixels per inch across the face of a suspect. Another way to utilize this higher resolution as a selling point is the potential lower cost of the total installation. A camera with 5MP mounted 10 feet away from the viewing area will be able to provide identification level resolution across 17 feet horizontally, while a standard analog camera can only cover just over a quarter of this area. This means that you would need four analog cameras to provide the same level of coverage as one 5MP IP camera. When cables, software licenses, mounting hardware, lenses, and all other costs are factored in this can make the IP installation much more appealing from a cost basis. Another advantage that IP cameras have is the ability to perform increasingly sophisticated analytics onboard the camera itself. Most recorded video is never watched – typically, footage is only reviewed when there is an incident. This is especially true on small installations that do not have a dedicated security guard. With the advent of on-board analytics, IP cameras themselves can now be programmed to independently analyze events, interact with other alarm systems, and send email or text alerts with pictures to interested parties. For example, a camera can be programmed to watch a specific door and only send an alert if that door is opened after regular business hours. At the very least, analytics can make it easier to sift through footage after the fact. Finally, a lot of customers are concerned that IP video is overly complicated to manage when compared to an analog system. It’s true, earlier versions of IP cameras did require some level of networking know-how. But newer cameras are getting extremely close to plug-and-play with features that automatically detect and configure cameras added to a network through tools such as DDNS, DHCP, and other networking protocols. Depending on the brand selected, all that could be involved in the installation of a new device is plugging the camera into the switch and then selecting “Detect New Hardware” in the accompanying software. Network cameras can also run on existing network infrastructure and only one cable is required for both data and power with Power over Ethernet technology. As every device begins to merge onto the network, it makes sense that security cameras move there as well. An IP video installation may cost more than a conventional analog system, but the price difference is getting smaller – and the benefits are increasing. As a well-known eSecurity Professional in India I got many appreciation call/mail for my Blog writing. Thanks to all of you for read and understand my wrong English writing on my blog. Recently I visit Bhubaneswar (Located in India, Capital of Orissa) and face some question, customer ask you people highlight our NVR/ DVR is support Remote viewing on Android enable phone, but we are not enjoy the benefits of mobile security camera monitoring through our android phone. Our System Integrator / Installer technical person come and say something that we are not understands. So you’ve come to the right place. Many of today’s most trusted manufacturers of IP security cameras, DVR, NVRs, and video management software offer Android IP camera apps for safe and reliable monitoring. I share with you a list of Android security camera apps offered by manufacturers, and the high-end features available on each. Optica, a leading manufacturer of high-definition IP cameras, offers OpticaMobile and OpticaMobile HD mobile apps designed for iPhone, iPad, and Android devices. OpticaMobile delivers a wide spectrum of features to improve the viewing experience for all Optica IP cameras, including quad-view mode, live video streams, bookmarking, audio, snapshots, dual stream support, and PTZ control of Optica’s P218Z speed dome. It’s an easy and convenient way to tap into your Optica IP camera system while on the go. OpticaMobile HD is built for use on the iPad, while OpticaMobile is compatible with iPhone and Android devices. Created by Milestone, one of world’s leading developers of video management software, the XProtect Mobile Android security app offers a bevy of features catered to on-the-go surveillance users. With an average rating of 4.6, with 5 being the highest score, users have raved about its built-in features and usability. What’s great about this video surveillance app is how many cameras you’re able to view and manage at once. Users were most excited about the number of cameras they can monitor on this app – one even wrote that the app was able to support all 38 of the user’s IP cameras. Key features include video push, control of inputs and outputs, control of PTZ cameras, viewing live video feed from numerous remote security cameras, snapshot sharing to send via email or MMS, and compatibility with WiFi, 3G, and 4G networks. Smartvue has remained on the cutting-edge of NVR technology since its inception. Recognized as an innovator in this market, Smartvue offers complimentary remote video surveillance access to its NVRs so you can check your IP cameras while on-the-go. Designed for Android versions 2.2 and up, the Smartvue Android App gives you complete access to your IP camera system when you’re physically off-site. 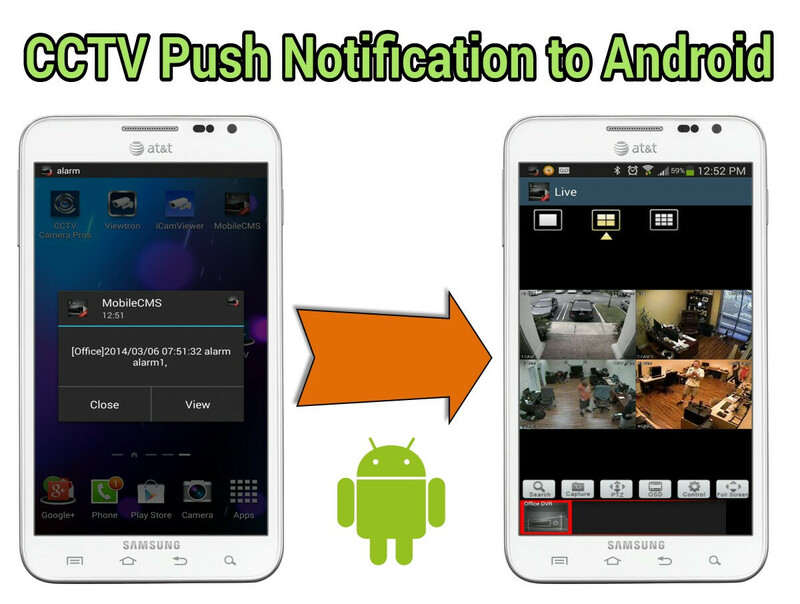 With the Smartvue Android App installed, you can view your live video feed, playback archived recordings, swipe the screen to change cameras, control display settings as needed, monitor multiple cameras at once, and control PTZ functions. It also works with a wide variety of IP camera brands and body styles. Users have given this video surveillance app excellent ratings for its convenience, ease-of-use, and intuitively designed interface. This Android IP camera viewer app offered by Vivotek enables surveillance users to monitor live streaming video from all of their IP cameras, or those that are managed by Vivotek’s video management software for up to 360 seconds at a time. 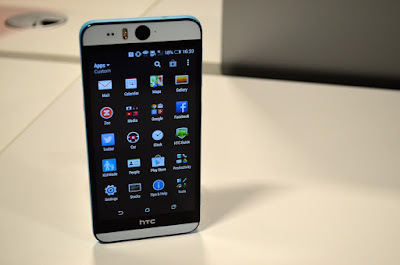 Note that this app currently works only with Android V2.3 and higher. Supporting IP cameras from a multitude of server connections, this app allows PTZ control via the touch screen, real-time video switching for different display options, image snapshots, single-channel playback by search, and the ability to playback recorded video for 1, 2, 5, and 10 minute intervals Additionally, you can configure your app to support fisheye camera views. 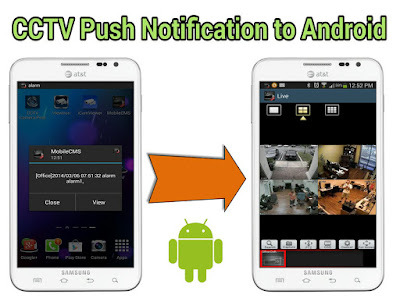 Offered by NVR manufacturer QNAP, the VMobile Android App facilitates remote and wireless monitoring of IP cameras by connecting to the company’s VioStar NVR through Android versions v1.6, v2.1, and v2.2. VMobile is able to manage an unlimited number of servers and cameras for a wide variety of IP camera brands and body styles. With this app, you’re able to adjust the display mode, control PTZ, receive notifications if your IP camera detects tampering or vandalism, and capture snapshots that you want to save. You’re also able to playback recorded video from each of your IP cameras and search recorded video based on date and time. Through the MobileFocus Android security camera app, you can connect to Everfocus DVRs and IP cameras at the touch of a button. Everfocus is one of the leading manufacturers of CCTV cameras, DVRs, and professional security products, including a select line of IP cameras catered to the ever-growing IP surveillance market. The mobile monitoring app’s easiest functions are viewing your cameras in real-time and controlling PTZ remote security camera models. Auxiliary mobile monitoring technologies include device management, channel control, gesture digital zoom, image snapshots, and full screen mode. The Video quad splitter is a very important component of close circuit television systems. Quad splitters were developed to eliminate the not so cost effective way of one camera per monitor and time lapse recorder design. A Quad enables the user to view up to four cameras on the same screen simultaneously. It displays all cameras on the screen two on the top quadrants and two on the bottom quadrants. This gives the user a tremendous advantage over security camera systems using video sequential or manual switchers. Using a quad, the system operator will not miss any activity he or she would have if they were using a sequential or manual switcher. However there is a slight drawback to the quad splitter. Its images can sometimes be too small to distinguish any specific details on an image, especially when using small CCTV monitors. While viewing a live feed this drawback can be overcome since the quad allows full screen viewing of any camera with a simple push of a button. However the same cannot be said once a picture has been recorded. When a quad output is recorded, it is recorded the same exact way as it is seen on the screen. 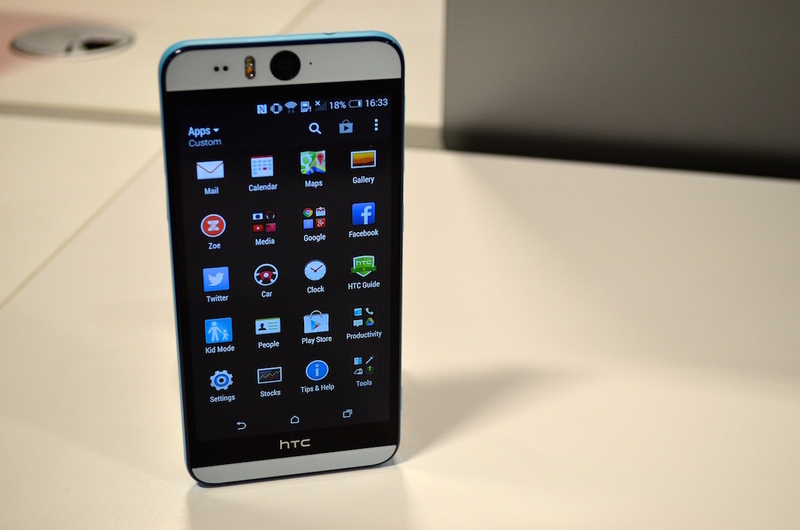 Therefore if a quad view is being displayed while recording that’s the only way it can be retrieved on playback. And if an operator has switched to a full screen camera view while recording that will be the only camera that could be viewed on playback. As you can see this could pose a problem in many applications and is also the main reason why many people upgrade theirs systems from quads to video multiplexers. Dual page quads are equipped with 8 video input to allow for up to 8 camera connection. The picture is displayed in two separate groups of four cameras. The switch between the two groups can be done manually or it can be set automatically at a predetermined switch time.